We were delighted to welcome touring theatre group ‘The Young Americans’ recently for a signature workshop. 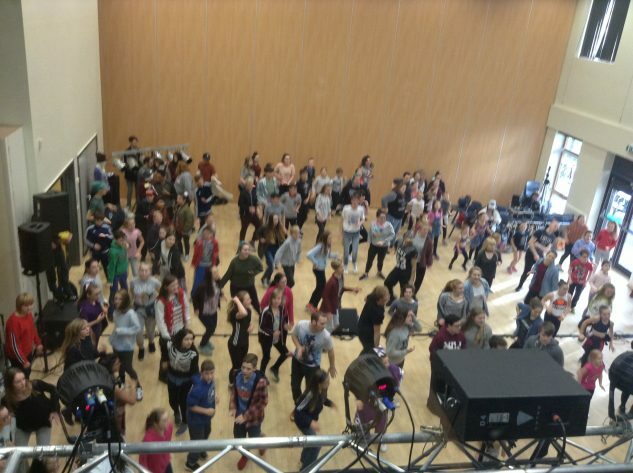 From 7th to 9th November, the company worked with over 100 young people from both Huntcliff School and Saltburn Primary School, schools from the East Cleveland Cooperative Learning Trust and also a local dance troupe in their ‘Turn Up the Music!’ programme. The organisation, which comprises 40 members of cast and crew, delivered highly-skilled and exciting workshops throughout the three days, encompassing everything from vocal techniques, dance and comedy improvisations, to stage movement, sound and lighting. Everything that the children learnt culminated in a final show, which took place during the evening of the third and final day. The performance was stunning. It included numbers from musicals such as Annie, The Lion King and Shrek, as well as distinctive and popular eras and trends, such as rock ‘n roll, swing, and gospel, plus a vibrant Disney montage. 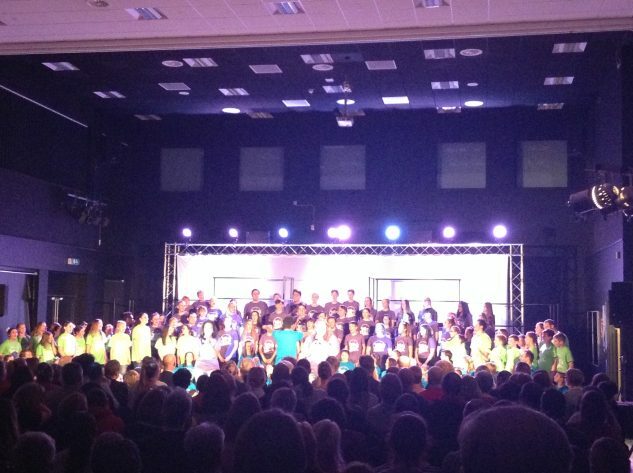 The show was a sell-out to over 250 people, who were blown away by the standard of skill and level of confidence and talent displayed by everyone involved, not just the professionals. The Young Americans is dedicated to encouraging young people around the world to accomplish self-confidence, self-esteem and respect for others through music, dance and performance. Learning a show in three days helps young people to learn and work together, respect one another’s strengths as well as to discover their own potential. It was, for most, an opportunity of a lifetime, and every single child thoroughly engaged in the experience.